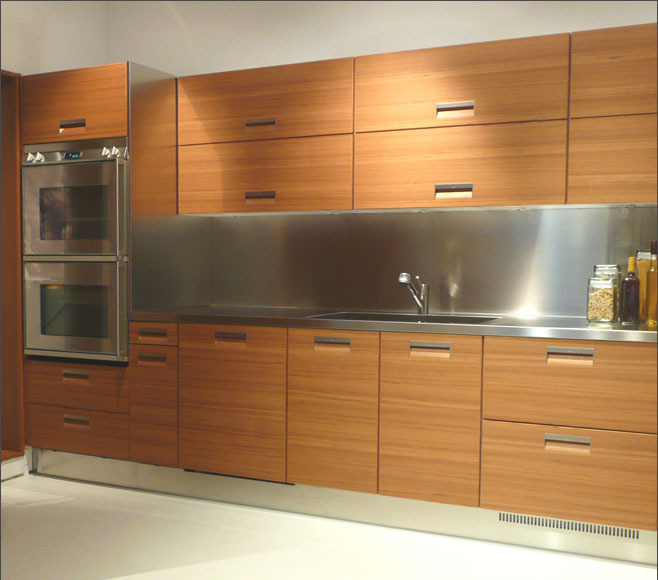 A few weeks ago we bought a display model kitchen from Arclinea– the italian cabinet-maker that the Italian government chose (and they could have chosen any Italian cabinet-maker right?) to do the kitchen for the Italian Embassy in Washington DC. Arclinea prides itself on being green by Reducing Consumption of Raw Materials, utilizing Low Emission adhesives and seals, using Recycled Materials, and practicing Green Manufacturing to make a Superior, Durable Product. The only downside of the product is the energy cost of shipping from Italy. And though the unit has been in Chicago for approximately 4 years, it’s not really re-used. That said it fit the space so well that it was too nice to pass up. Aaron, Susan, and Charles from Arclinea have been completely generous with their time and help with figuring out how to make all the pre-existing pieces fit in our new space, as well as providing general design advice. Work progresses on the inside and outside stairs. 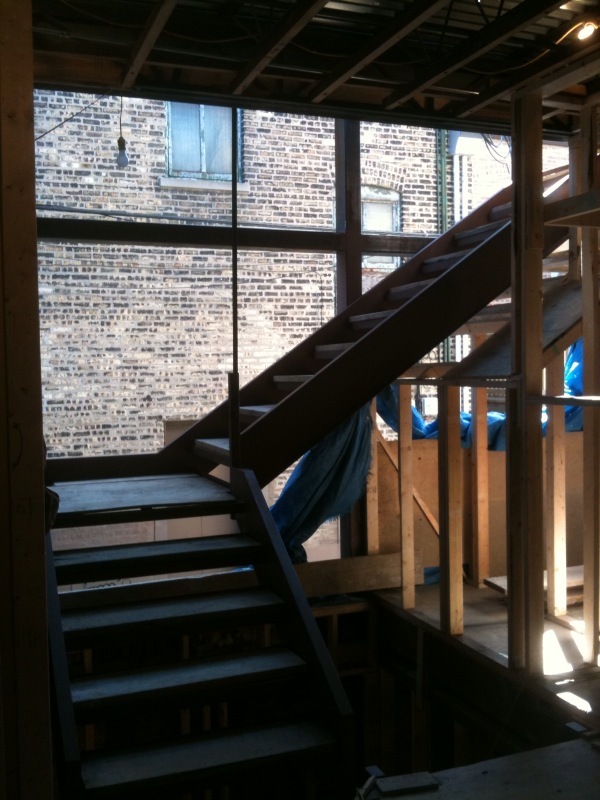 The inside stairs are cut and welded on site. 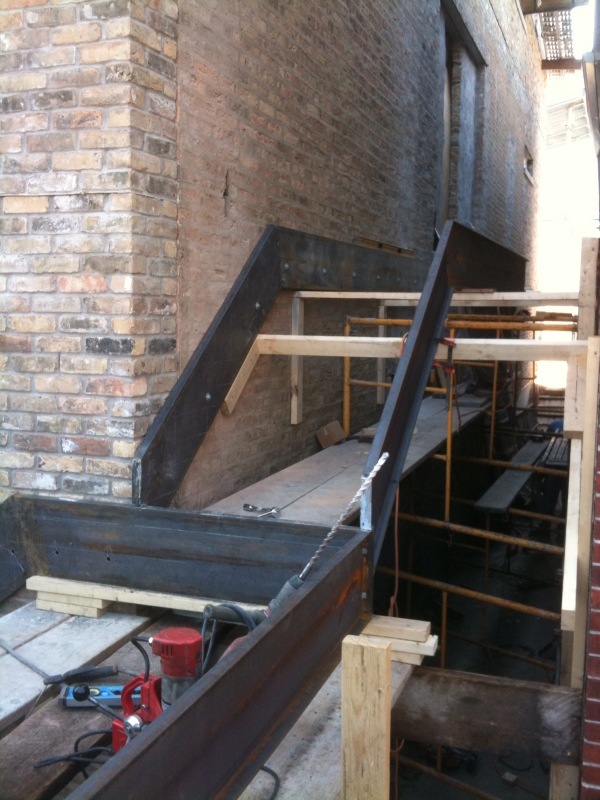 The outside stairs are also cut, welded and bolted on-site, but will then be completely dismantled, sent off to be galvanized, then brought back and put back together. You are currently browsing the Elementalbuilding blog archives for April, 2010.